Learn more about Protein Powder Types & How the Body Uses Protein. Smoothie Shakers – Protein shakers are a convenient way to store and mix your nutrition shakes, store your water and stay hydrated. Smoothie Blenders – Blending up healthy protein shakes at home can be quick and easy with the help of a quality blender. Protein Books – From protein smoothie recipes to guides on protein use, we have some of the best protein books available. When we first saw PlantFusion's Complete Protein we were really excited to try it. This is not your average vegan protein powder! Veganism is growing worldwide and provides a healthy ethically sound diet. So how can a vegan get all the protein they need? 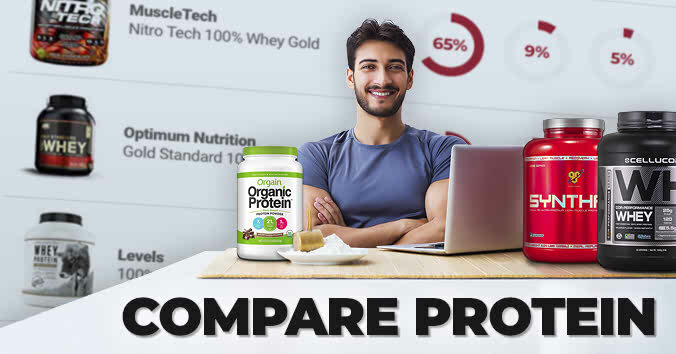 Compare all the top vegan protein powders available with ease. Yes, we have done all the hard work for you! Protein powders come from a variety of plant sources to provide vegans with an array of great options, so which is right for you? The content on this site has not been written, reviewed or endorsed by a medical professional. We assume no liability for the misuse of supplements. We recommend you consult the label of any product you purchase, as well as consult your health care professional before taking any product featured on our site. How does the body use Protein? © 2018 ProteinPowder. All Rights Reserved. Wishbone Media, Inc.